When I got married, my husband and I picked out some nonstick cookware from a department store for our wedding registry. Almost three years later, that "nonstick" material has marks, requires a thick coating of cooking spray and you know what? I can't put them in the dishwasher! Needless to say I was skeptical of non stick cookware. That is, until I tried Xtrema Healthy Cookware! So far I've used this baby to cook breakfast twice (see bacon right!) The bacon came out perfectly crisp and didn't stick to the pan. All I did was heat the pan up a little on medium heat, spray the pan with a light coating of spray, and started cooking! I have also made chicken tacos in the pan. I loved that I could cut the chicken in the pan without scratching the bottom of the pan! And cleanup? Easy! The first time I was a little nervous - the bacon I cooked looked as if it was stuck to the bottom of the pan. But surprise! The pan came clean with one quick swipe of the sponge - awesome! I can't wait to keep cooking in my new pan! Uniform heat distribution eliminates hot spots, which causes burned foods, and uniform heat distribution promotes consistent cooking performance. Xtrema has a whole line of awesome nonstick cookware in different shapes and sizes. They also have a whole line of teaware which range from retro to elegant! Frugal & Fabulous Verdict: I love Xtrema Cookware and wholly recommend them to anyone looking to purchase quality, nonstick cookware that really works! Whether you buy a piece or a whole set, these products are a great addition to any kitchen - and would make an awesome bridal or housewarming gift! Win it! One lucky Frugal & Fabulous readers will win a 10 inch skillet from Xtrema Cookware! *Tell me your favorite item from Xtrema Cookware! 6. Follow @lindsfrugalfab and @XtremaCookware on Twitter! You have until Wednesday, May 26 @ 7pm EST to enter! (Winner must respond within 48 hours.) Giveaway open to U.S. residents only. Wouldn't I love to have the 16 piece set from xtrema!!!! These look like quality cookware. I also subscribe to you with google reader. I love the 3 piece wok set, mostly because I want a wok. We had one once, but someone took off with it. I'm a FB fan of XHC! I meant to state that I am a follower as well. I like the 3 piece wok set, I have always wanted to own one. I love the 10" Skillet. We use a skillet almost every night at my house so this would be great! 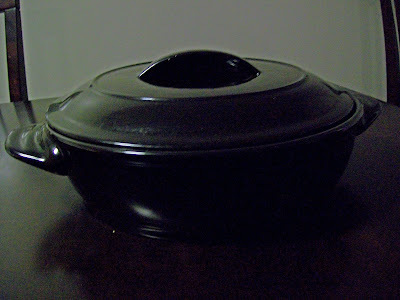 I also love the Steamer Pot though! I subscribed via e-mail! Can't wait for the updates! The 5.5 qt pot looks stylish. I would love to have that since I frequently cook different varieties of rice for potluck dinners and it would lokk good to serve in them too. I like the 10" skillet and the 3.75 qt oblong baking dish. I like the 5.5 quart saucepan with cover. I follow you and Xtrema Cookware on Twitter @dopeymouse05. I'm your fan on Facebook (Lauren Peterson). I'm a fan of Xtrema Cookware on Facebook (Lauren Peterson). I love the lasagna pan! The 16 piece set of course is my favorite since it has everything! I subscribe to frugal & fabulous via e-mal! I really like their wok! the big pan in the lid you tried looks great! Oh how I need this cookware. After 40 years mine is disgusting. My favorite piece is the skillet as mine is embarrassing! Thanks for the chance to win. omg i love the 3 piece wok set! twitter follower of both of you! 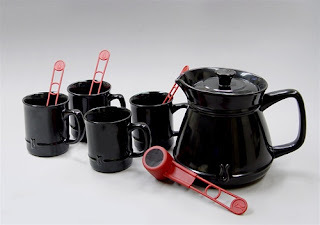 I love the black swirl teapot--metal teapots can get so gross! I am a fan of you on Facebook! I am following on blogger! I am following you both on Twitter! It sounds fantastic!! I as well am getting fed up with my non stick cookware. Ready for an upgrade! I really like the large sauce pots with lids. I am always cooking in pots. My favorite item is the wok! I like the 5.5 Qt Sauce Pot w/ Cover. I would love the 10" Skillet! We use our cast iron skillet almost everyday...I try to avoid typical non-stick cookware for the leeching/chipping factor. However, cast iron requires a lot of maintenance...so I would love to receive Xtrema Cookware! I would love the full cookware set. We have been needing one for a while. my fav item is the wok set! I love the Wok 3 Pc. Set! I love the loaf pan! Would be great for pumpkin and zucchini bread! I love the set! The skillet that works in oven and steamer look like great products that would be used often! The 16 oz saucepan with cover is my favorite! My favorite item from Xtrema is the 3 pc. Wok Set! I'm a fan of Xtrema on FB! I would love to own the wok set! I am subscribed via feedburner. I would love the steamer set! I like the 16 pc Set! info in blogger profile. I am following you and Xtrema Cookware on twitter! @esavingsblog! the wok 3 pc set looks fabulous! I think my fav would be the 10 in skillet. I am a new subscriber! My favorite cookware is the 10" Open Skillet. Thanks for this opportunity to win! I would love to have the 3 Pc Ceramic Wok Set. After looking it all over, I'd love the 10" skillet. Your picture of bacon cooking got me thinking about the pan that I currently use that's always a pain to clean! I'd love the 10" skillet, that's what we really need! Would love to win! Also I subscribe via Google Reader! I think their three piece wok set looks great, the kids love eating stir-fry! Have your button on my blog! I love the 2qt pot with lid!!! I love the 2 qt swirl matte finish teapot. I have wanted on for a while now! I have your link on my blog and I would love a new skillet! !